Free public wi-fi is to be rolled out in three town centres to boost regeneration and tackle “digital exclusion”. Councillors have approved the move for Johnstone, Paisley and Renfrew in Renfrewshire. The system will also be available within a range of public and community buildings across the council area and a range of public organisations are hoping to sign up to the venture so that public access wi-fi could be available in their facilities. The council hopes that increasing the number of visitors to town centres will benefit the local economy. 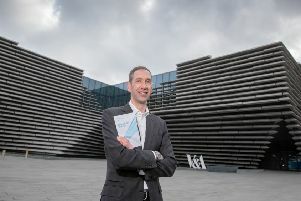 Renfrewshire Council leader Mark Macmillan said: “The regeneration of our town centres is a key priority for this council and free public access wi-fi will draw in visitors and boost local trade. “We know that around a quarter of people would be likely to spend more time in a town centre that offers free public wi-fi. “Johnstone, Paisley and Renfrew are economic centres that provide jobs and vital services for people throughout Renfrewshire, so the decision to take these plans forward is great news for the entire area. Leading business representatives believe the plan will help make Renfrewshire a more appealing location to visit or do business. Bob Grant, chief executive of Renfrewshire Chamber of Commerce, said: “This is good for businesses and visitors in Johnstone, Paisley and Renfrew town centres. “Digital connectivity is now expected as normal and is transforming our retail environments. The council said the system will also help to tackle digital exclusion by providing people across Renfrewshire with free internet access.